At just 30.0 oz and a mere 7.0-in. long, the AF-S NIKKOR 70-200mm f/4G ED VR is well balanced and comfortable, even on long outings. Its f/4 fixed maximum aperture excels in low light and lets you maintain a consistent exposure while zooming, especially useful when shooting HD videos. The 70-200mm focal length range (105-300mm on DX-format cameras) has been the choice of pros for years, but for greater reach, add any of Nikon's teleconverters and achieve 1.4X, 1.7X or 2X magnification. 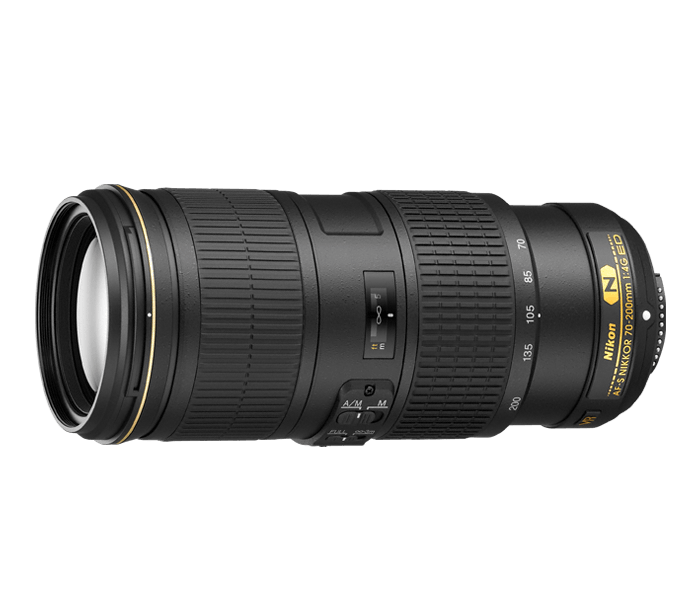 The AF-S NIKKOR 70-200mm f/4G ED VR even focuses as close as 100cm with a maximum magnification of 1:36x, so you can capture the smallest of subjects while maintaining a comfortable working distance.